If you have bipolar disorder or are providing care to someone who has the illness, recognizing triggers is an essential way of keeping healthy and avoiding episodes. 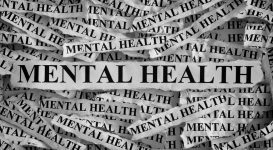 Bipolar can have a serious and long-lasting effect on a person’s life, and it is imperative that warning signs are carefully monitored. Street drugs or alcohol. Using street drugs such as amphetamines or cocaine can cause a relapse in manic symptoms. Alcohol can lead to a relapse in depressive symptoms and make for unpredictable behavior. Antidepressants. 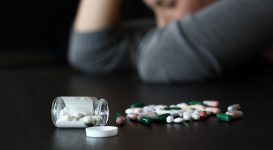 In some cases, it has been shown that the use of antidepressant medication can cause some patients to relapse into a manic episode. This does not mean you should not take your prescribed medication, but if you are having concerns please consult your doctor. Not taking medication correctly. If you do not take your medication correctly, there is a risk of having an episode. 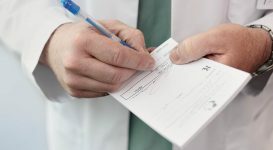 Your doctor is the first point of contact should you have any concerns regarding your prescription. External stimulation. Some studies have shown that too much external stimulation such as traffic, clutter and crowds can cause a relapse in symptoms. One of the biggest triggers in bipolar symptoms is sleep. Bipolar can interfere with the body’s natural circadian rhythm, and therefore maintaining a regular sleep routine is vital to a healthy mind. Watch out for changes in your daily life, such as staying up late to study, working longer hours, or other time-based impacts. Due to this, jet lag can also have a negative effect on some people with bipolar disorder. Arguments and conflict. Having confrontation with people, especially those you love, is hard for everyone. Adding in bipolar disorder can make this even harder to deal with as emotions may run higher, and tempers may be stronger. New baby. Whilst having a new addition to the family can be a wonderful thing, the stress of all the changes and the added responsibility can sometimes be a trigger for some people. Financial issues. At times we all worry about money, but debt or other such problems related to money can be more difficult to cope with if you have bipolar disorder. Death of a loved one. If you lose a loved one it is likely to have a big impact on your life. 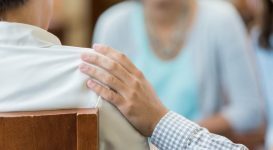 Planning a funeral can be expensive and stressful, and grief can have a significant effect on someone’s life and mental health state. Seasonal triggers. There are some people with bipolar disorder who have mood cycles that coincide with different seasons. The usual pattern is to have mania in the summer, with depression hitting in the colder months. Self-esteem. 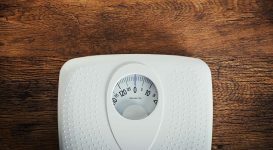 If you have low self-esteem it has the potential to cause a relapse in symptoms as you may either indulge in damaging behaviors to ease this feeling (such as validation through risky sexual encounters), or you may feel depressed all the time. This may feel like a long list and may be off-putting, but do not let it stop you living your life. Rather, try and observe some of the below tips to help you cope with your symptoms (or if you are a caregiver, some of these tips may help you look after the person with bipolar disorder). Being aware of your bipolar triggers is vital in taking steps along the road to a healthy life. Know what sets off your episodes, and what causes a relapse in different types of symptoms. If you are a caregiver, then ask your friend or family member during a period of wellness to ascertain what it is you should be monitoring for. Communication is a vital part of every relationship, and communicating about bipolar triggers is no different. 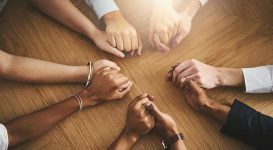 Make it clear to those around you what can trigger you, or alternatively if you are a caregiver, then make sure you find out what it is that triggers that person. It is important to approach the topic carefully and sensitively in order to avoid anyone feeling upset, frustrated, or hurt. Having a record of your moods, usually through a chart, is a useful way of tracking how you are feeling currently. That way you can hopefully begin to spot any symptoms before they escalate, as early intervention has the best prognosis. You may also find it helpful to keep a list of previous triggers, as this may help you to notice if any of these triggers are emerging. If you are a caregiver to someone with bipolar, then it is vitally important that you approach sensitive subjects a lot in a non-judgmental way. Don’t question every mood they have, but rather monitor them. 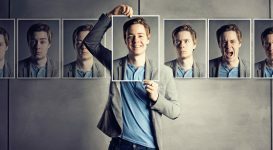 In general, bipolar moods last longer, have a greater impact on the life of the person diagnosed and can be unrelated to life events. 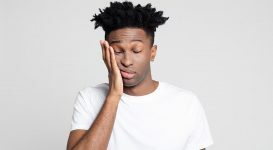 If manic symptoms are emerging, these ideas may help you to cope with the symptoms: rest, reducing stimulation, contacting your doctor, and taking action quickly. If you feel you are slipping into or are beginning to recognize the warning signs of a depressive episode, you should try and stick to a daily routine, increase activity (even if it is small tasks), and contact your doctor. If you are a caregiver, it is vitally important to avoid getting caught up in the mood of the person you are looking after. You may also need to negotiate medical intervention, especially if the person is going through mania. Mania can sometimes have a seductive appeal, especially after a depressive episode, and negotiating medical intervention within a certain amount of time is an excellent way of maintaining trust but still keeping an eye on the symptoms. What does it mean to be bipolar? 'Bipolar has taught me resiliency, ambitiousness, and self-love.' Andrew describes what it means to be bipolar.